Sabcho Gavrailov, Food & Beverage Manager at Sopwell House, reveals how to garnish your gin to ensure you can have a bar worthy G&T at home. Lavender and Elderflower are great garnishes to floral gins as they add a wonderful perfume and are a pretty addition to the glass. The floral notes of chamomile and rose petals in gins such as BLOOM and Eden Mill Love Gin are complemented by the flower garnish. The lemon and herbaceous flavours of citrus gins like Bombay Sapphire and Monkey 47 pair perfectly with pink grapefruit and rosemary. 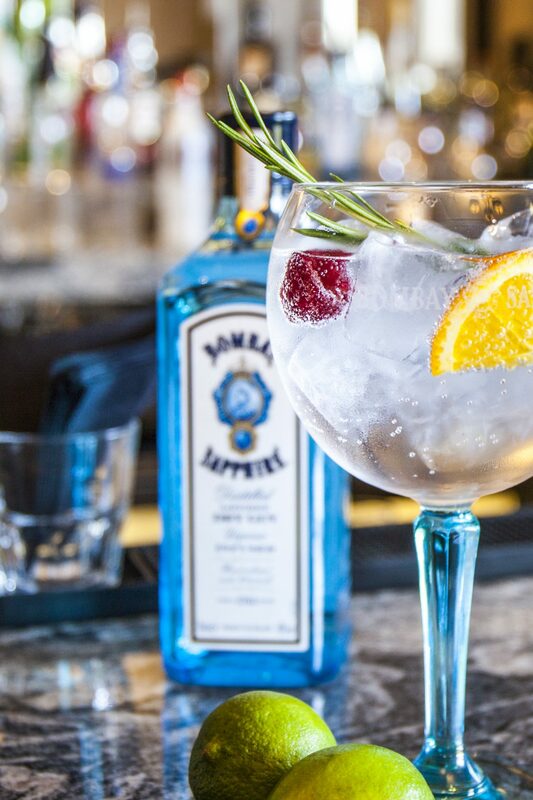 The garnish adds a fresh vibrancy and accentuates the flavour of the gin. The flavour of spiced gins such as Ophir and Pink Pepper Gin is emphasised by aromatic garnishes like a cinnamon stick, peppercorns and chilli. The additional spices emphasise the existing flavour of the botanicals. Sloe gins, such as Sipsmith and Boodles, are renowned for their sweet complexity and fruity notes. Serve simply with a slice of lemon, which will bring out the distinctive berry flavour further and add an additional zing.